Installing extensions to Chrome adds amazing functionality to the browser. This allows users to personalise Chrome to suit their needs. 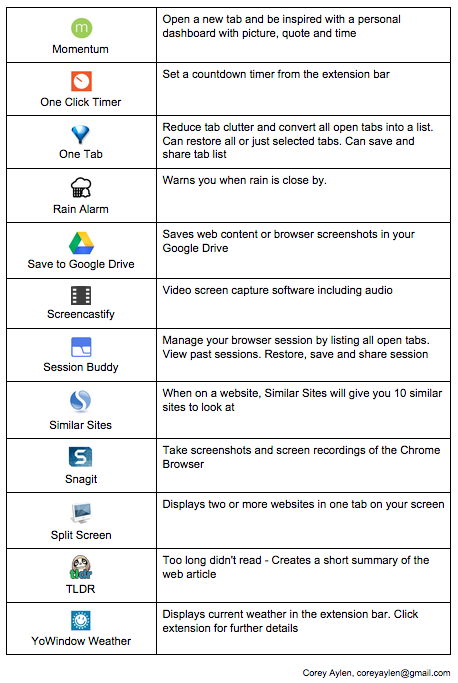 The Chrome Web Store has thousands of extensions to customise and improve your browsing experience. 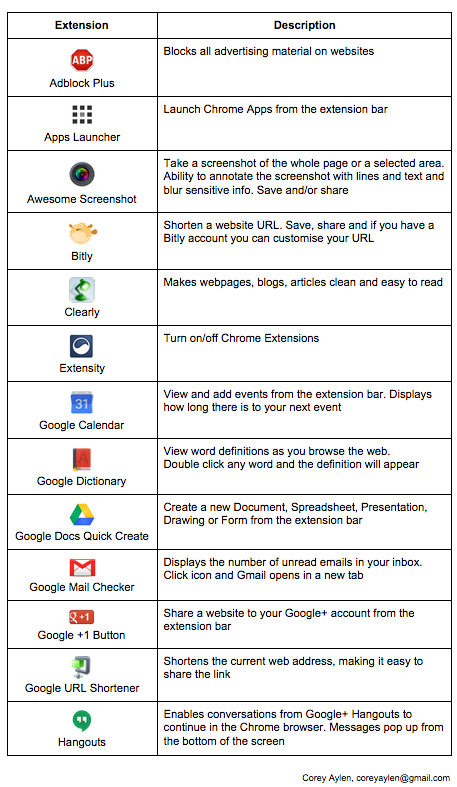 To assist teachers become familiar with extensions I have put together the below list as a starting point.